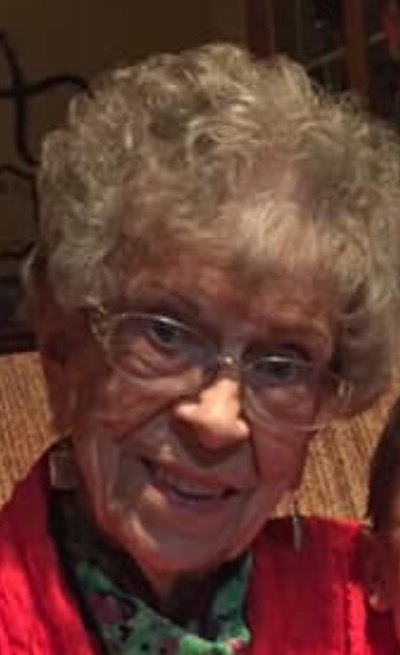 Doris Jane (Tilly) Brocksmith, 88, of Freelandville, was called to heaven on March 29, 2019, at her home. Doris was born on April 9, 1930 in Knox County Indiana, the daughter of Ernest and Dora (Pieper) Tilly. She married the love of her life Richard A. Brocksmith on February 21, 1954. Doris graduated from Edwardsport High School in 1948. She retired as a secretary from Farm Bureau Insurance. Doris was involved in several boards through the years including KCARC Board and WIN Energy Board for 56 years. Doris was a member of the Bethel Guild, the Christian Partners Sunday School Class and the Immokalee Club. Doris loved spending time with her family and friends, helping at church and making her famous cheesecake. Doris is survived by her children; Jane (Dale) Tiek of Oaktown, Bill C. (Jo Anne) Brocksmith of Freelandville, and Kent A. (Brenda) Brocksmith of Freelandville; grandchildren, Collin Brocksmith Tiek, Barron Richard Brocksmith, and Bridget Ashley Brocksmith; great grandchildren, Brennen Richard Tiek, and Addie Mae Tiek. She has 3 nieces. She was preceded in death by her parents, husband. and brother Ernie Tilly Jr.
Visitation will be Tuesday, April 2, 2019, from 4:00 P.M. to 8:00 P.M. at Bethel Church, 13673 E.St. Rd. 58, Edwardsport.. Funeral Service will be at 10:00 A.M. on Wednesday, April 3, 2019 at 10:00 A.M at the church. Memorial contributions may be made to Bethel Church, Delight Ministries at Notre Dame or Nurses on a Mission. Fredrick and Son McClure-Utt Funeral Home Vincennes Chapel handled the arrangements. Online condolences may be made at www.fredrickandson.com.